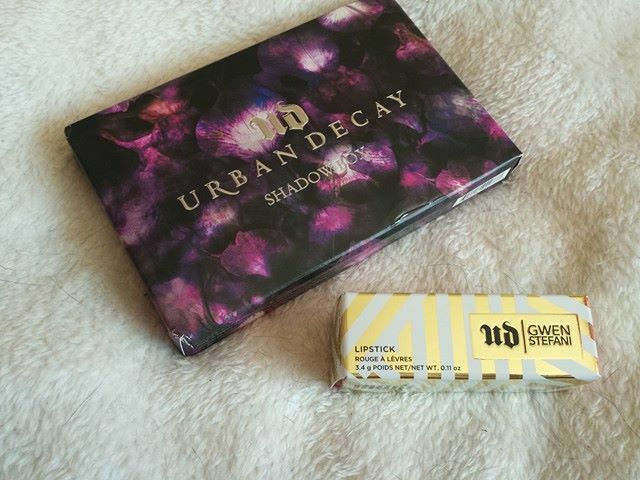 So this is going to be a very short post but l have made two recent purchases from Urban Decay that l would love to share with you because l love to see lf other people have bought these and l would like to hear your opinions on it .I bought the Shadowbox from Urban Decay and the Gwen Stefani Lipstick in the shade Firebird. 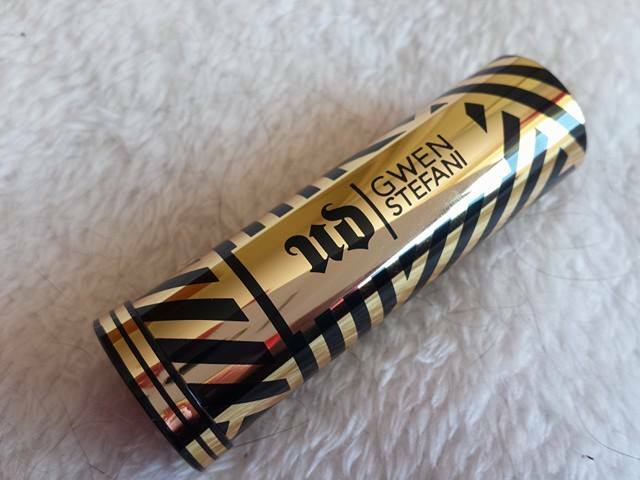 I'm going to show you the Shadowbox first and then the Gwen Stefani Lipstick. l'm not going to say much about them because l only got them a few days ago . 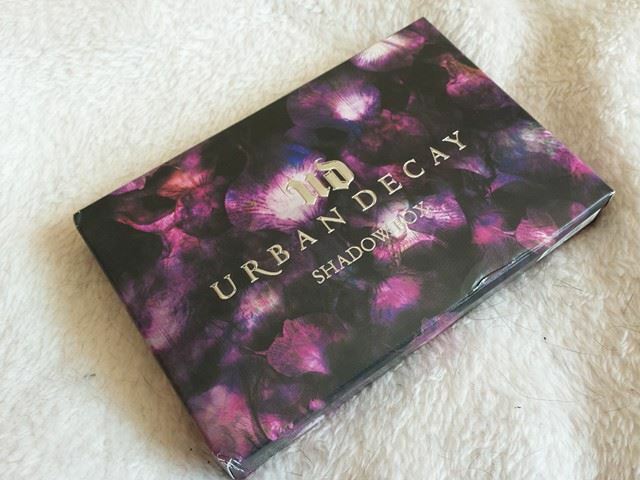 First l'm going to start with the box, lt comes in this beautiful box , it looks like there is purple petals on it with the name of the palette of it in raised lettering.I think it looks very pretty. On to the actual palette , it is similar to the box in where it has petals and the same colouring. 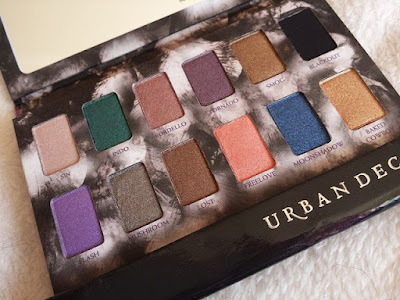 I like the UB metal bit that helps you open the palette and it has a magnetic bit on to the palette so it closes securely. 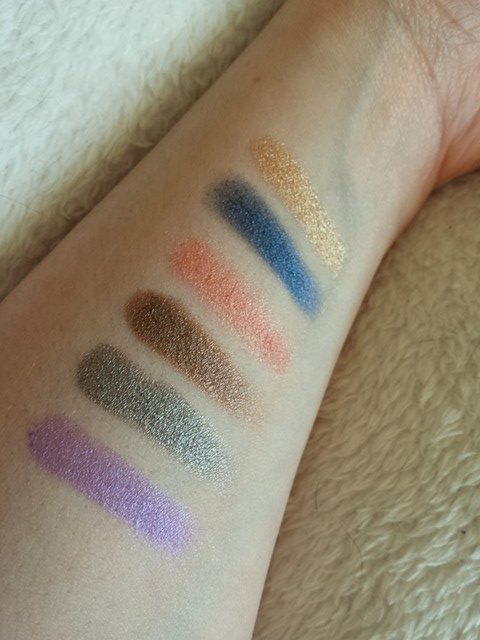 I find how small this palette is very cute and very convenient for bring away. Inside the palette you have 12 shades , there is only one matte eyeshadow which is the blackout shade and in my opinion it is a true black.Also included in this palette are a few shimmers and satins, all of these look lovely swatched. 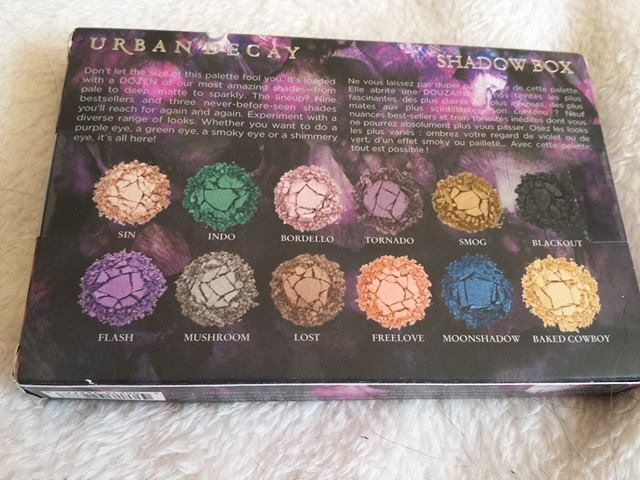 The names of these shadows starting from the top to bottom are Sin, Indo, Bordello, Tornado, Smog, Blackout, Flash, Mushroom, Lost, Freelove, Moonshadow and Baked Cowboy. 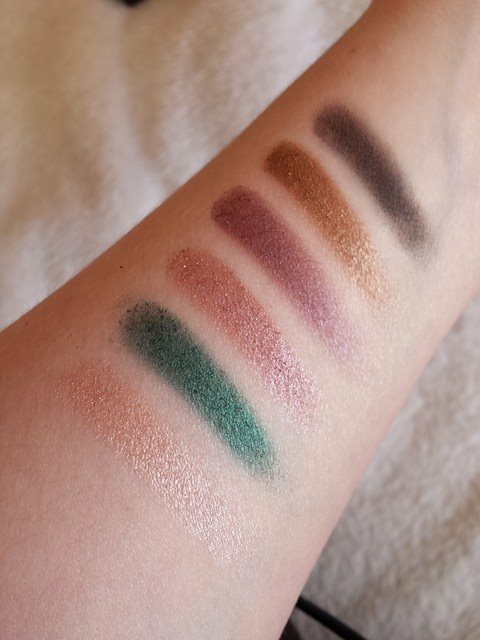 My favourites are Indo (a emerald green satin), Freelove (a peachy satin shade), flash (a light purple satin, a bit powdery) and lost ( a dark bronze shimmery shade) they are so pigmented and look beautiful even just in the palette. I would say some of the shadows crumble when you swatch them but its still workable l'd say. I think you would get some fall out with the darker shades. I can't wait to use this palette, l'm just a little worried about how much fallout this palette will have and l also find how powdery some of the shadows are a little annoying. 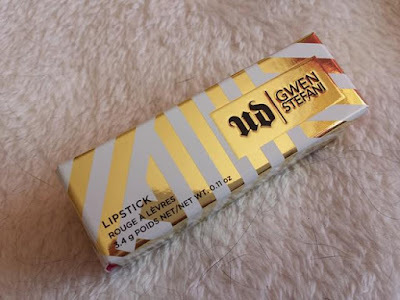 When I ordered this lipstick I knew what it was going to be like because I got some samples when I ordered the Gwen Stefani eye shadow palette. 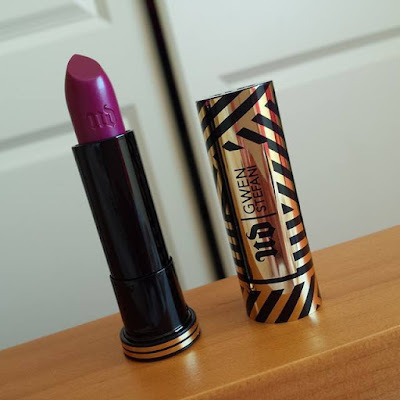 I loved this shade from when l first put on my lips , l wasn't much of a fan of the other shades but this one really stood out.It looks darker in the stick than it does on your lips. 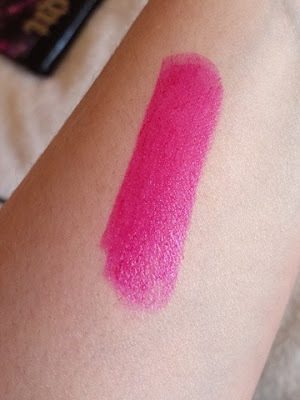 It is a fuschia pink that is very creamy and so easy to put on. l think you might need a lip liner with this but l just love the colour. Its a very glossy lipstick and it's so perfect for summer. It doesn't last all day but leaves a slight stain on your lips and its worth it having to apply twice because its very pigmented and beautiful. I loved these purchases and I loved showing you what l got. 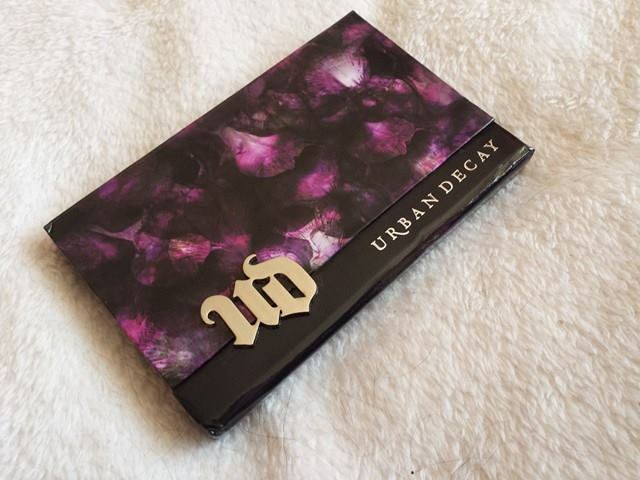 I really think Urban Decay is great for eye shadows and lipsticks. If you tried these please comment below and tell me what you thought of them. Thank you so much for reading my blog, lf you would like to follow me you can by adding my facebook, twitter and google which are on the right.